Handy tool to pre-set the hydraulic piston when replacing worn out pads. 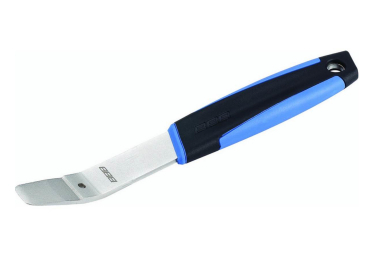 The wedge-shaped tool slides easily into a hydraulic disc brake caliper. Height x width x length (mm): 20 x 36 x 253.